The New York Times published a piece on Trump on Sunday that Trump didn't take to. Much like anything that criticises him, he branded it "FAKE NEWS". When Mr. Trump is not watching television in his bathrobe or on his phone reaching out to old campaign hands and advisers, he will sometimes set off to explore the unfamiliar surroundings of his new home. Rather than point out that Trump has actually signed more executive orders than any other president in their first week, or say that he's pretty busy annoying the whole of twitter, the Trump team decided instead to deny that Donald Trump owns a bathrobe. Why is Melissa #McCarthy so upset about the #POTUS #bathrobe? That story was so riddled with inaccuracies and lies that they um they owe the president an apology for the way that that thing was... they were just literally blatant factual errors. Umm and it's unacceptable to see that kind of reporting "so called reporting". That is literally the epitome of fake news. 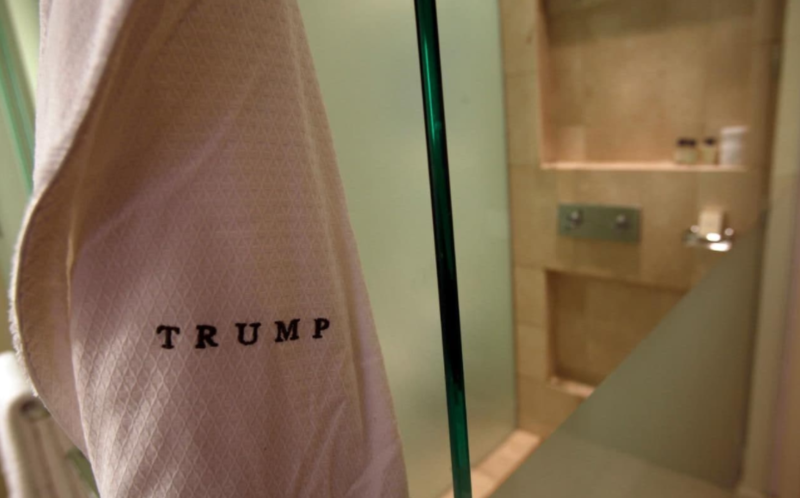 I don't think the president even owns a bathrobe. Definitely doesn't wear one. The internet saw this, and decided as one to now flood the internet with pictures of Trump wearing bathrobes. Brace yourselves. It's not pretty. The images of Trump lounging around in a bathrobe are currently circulating Twitter, making people all over the world lose their breakfast.